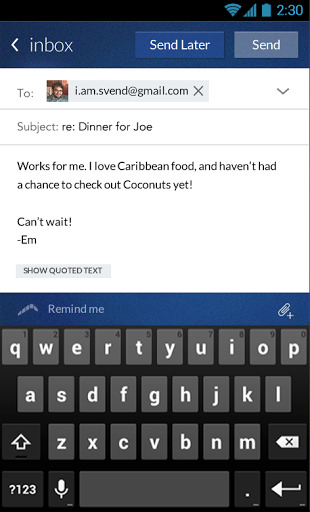 Boomerang Email (Android) - A very attractive email client for Android ~ Android Forever! Developer Quote: "Meet Boomerang, the most powerful email app for Android. Currently integrates with Gmail and Google Apps accounts ONLY (other services coming soon!)" 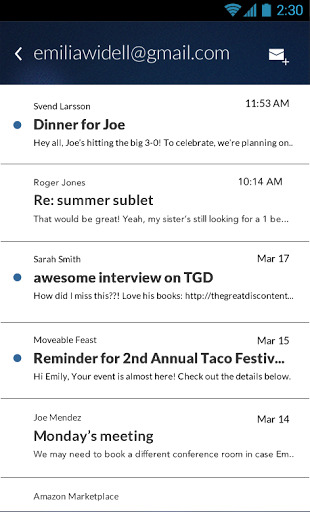 Check out this new email client for your Android device. It's more attractive and has better functionality than almost anything out there.